All Mechanical Engineering undergraduate students are a part of Club Mech, an undergraduate society that represents MECH undergraduate students in matters related to their university experience. This includes representation within the Engineering Undergraduate Society (EUS) and the Mechanical Engineering Department. Club Mech’s President sits on EUS Council meetings to bring a voice to council decisions, while Club Mech executive members assist with organizing social events, extracurricular activities, and club room amenities. 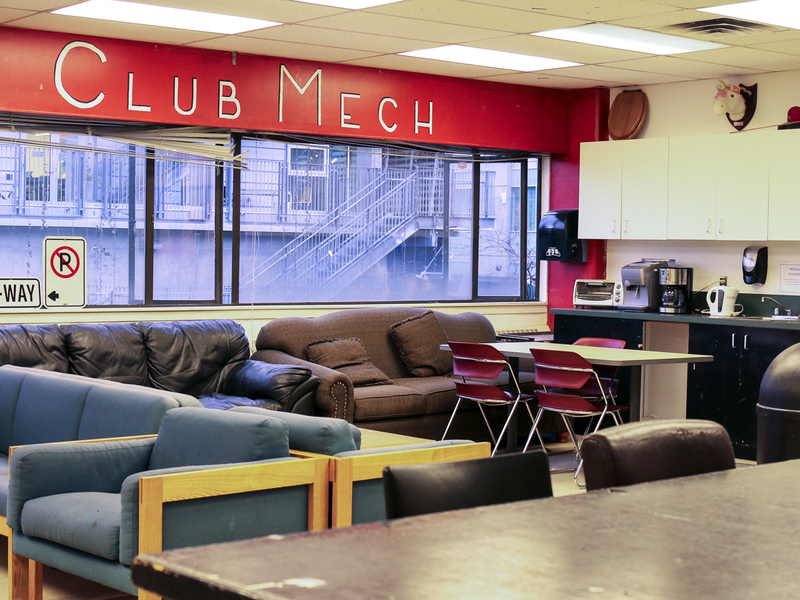 Located in the Civil and Mechanical Engineering building (CEME) room 2207, and open to all students, Club Mech has a large club room that offers a number of features. These include couches and tables for collaborative work, a fridge, multiple microwaves, a sink, and vending machines. A Tornado foosball table is one of the most popular features of the clubroom. The room brings students from multiple MECH streams and years together as a place to chat, eat, and relax. Please visit Club Mech for more information about executives and undergraduate life.